A Brasil de Fato partner, The Real News interviewed Brian Mier, an editor for the website Brasil Wire, about the second conviction of former president Luiz Inácio Lula da Silva last week and the far-right forces behind it. Mier, who's also the editor of the book Voices of the Brazilian Left, addressed the ulterior motives behind the two convictions against Workers' Party leader and the connections between the Brazilian far-right and the former judge and now Justice minister Sergio Moro. 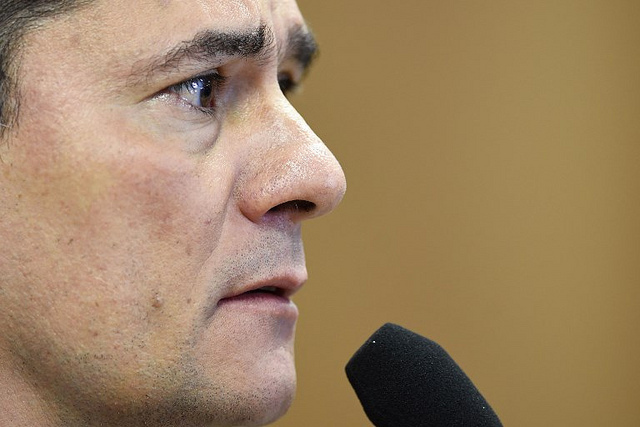 "In the current case over this vacation property in Atibaia, judge Moro was the investigator. He built the case with constant support from the U.S. Department of Justice. Patrick Stokes flew down to Curitiba a couple of times. They used U.S. DoJ tactics, mainly basing the entire conviction on one plea bargain testimony, as the DoJ did against Senator Ted Stevens in 2009, Alaska, in a case that was also overthrown later," Mier told journalist Greg Wilpert.